Dashed Expectations • View topic - Dunkelheit RP Thread - Now Opening! Dunkelheit RP Thread - Now Opening! Post subject: Dunkelheit RP Thread - Now Opening! This is the RP thread. Use it for RPing things. There was no thought put into this prior, so there is no opening post. Go ahead and enjoy? Post subject: Re: Dunkelheit RP Thread - Now Opening! A hand burst from beneath the soil, disrupting the nighttime silence around the landfill in the middle of nowhere. The hand dug itself into the ground, pulling more from beneath the surface until the finally the head of a man with a scruffy beard, looking to be in his late-30's, burst forth from the earth. Shaking his head, he found himself squinting at the ground in front of him and the garbage dump a few meters in front of him. "Well, that sure isn't a lake." Slowly pulling himself from the earth, he warily checked his surroundings, nothing about this location clicked for him. He remembered he was sealed by that witch underneath a lake in the midst of a forest, and nothing about this terrain resembled that, even the shape of the ground failing to resemble the shape of the lake. The garbage was also confusing, he could tell some of it was food but there seemed to be great heaps of metal and paper as well. Confusing, both of those were valuable resources as best he could remember. On his feet, and his nose finally adjusting enough to be able to smell the incredible stench coming from the garbage heap, the man realized he had no desire to stay here. He scanned the area to find a tall, metal fence as well as a small booth at the edge of it, which looked to be the only exit. Stumbling over to try the door, he found it to be locked, but that was not about to stop him. He kicked it a few times and when that failed, decided to smash his entire body through the window to get inside regardless. It took him nearly a full minute to get back up after planting his face right on the floor, but once he was on his feet it was time for him to collect his thoughts. While the "where" was bugging him, what was starting to be more important to him was the "when". Last he remembered, the witch had said he would never leave his prison as long as she lived, so she must have just died now. It certainly felt like he'd been underground for incredibly long. Long enough that he wondered how he wasn't mad from the isolation and boredom, which was only compounded when his eyes locked onto something in the room. A calendar, structured significantly differently than the one he was familiar with, but a calendar none-the-less. He stumbled over to it, still struggling to adjust after a long period underground... one that was apparently much longer than he had thought. Not only was the calendar organized completely differently than the one he was familiar with, it was at a number nearly 7000 greater than the one he was familiar with. Either the calendar had changed to include dates further back, that woman had lived 7000 years and only just died now, or worse, it had somehow been even longer. "You better be hallucinating this crap, Bran..."
He spoke to himself, before eventually deciding that if he was going to get through the next window to freedom he was not going to do it by smashing himself through the glass. Instead, he lifted a heavy bag located on the floor and chucked it at the window in front of him, smashing a hole big enough for him to go through. Looking ahead, he saw strange lights off in the distance... likely a town, though the lights seemed too high up and too bright to be those of an ordinary village. As confused as Bran was, he knew there was one thing he needed, more than even answers as to his predicament. This new world was full of strange sights and hostile smells, and he the one thing that could give him a leg up over it all. The beings that supplied his power, he was going to need at least a dozen of them to feel secure, if not hundreds. Even that hadn't been enough to protect him from the witch, but he remembered she was rather powerful... but if nothing else, he could always attempt to acquire even greater numbers of the thing in the world that mattered the most to him... pelicans. Kainleth wriggled his fingers in his glove as he finished getting ready. Well, "in" the glove was inaccurate: both of the gloves he wore were fingerless, being a dark blue at the edges and a brighter green in the middle. It was about time for his match. He tugged at his jacket, attached his lances to his back and began to walk out into the stadium. It was pretty well built. The ancient stones that made up what was once its ancestral colosseum had been built upon with more modern stonework, not to mention places for cameras and a mix of modern seating plus ancient stylings. A kind of modern "retro" look, one would suppose. It was probably relatively filled, but not full. I will fill in later but this is basically an arena for people to non-lethally fight in order to train skills, cash, exposure for whatever they might do (usually adventure work, bodyguard work, or maybe assassinations) and whatnot. The announcer to the arena sounded rather...excited as the large figure of Kainleth Delano entered the colosseum. "And now, entering the ring, to begin the third match of the day..." He proclaimed. "We have the Hurricane of Horror himself, from the far land of Rosquila! He might not be a veteran, but he certainly has made his presence known in the arena for sure! Let's give a warm hand for Kainleth Delano!" The crowd began to clap as Kainleth cracked his knuckles, waiting for his opponent to be revealed. Cold. Biting cold, eating at her skin, at her thoughts. She pretended that was the reason she was shivering. Entertaining the thought she could still feel anything the world threw at her was the only thing keeping her going right now, the only thing keeping her determined to chase this final purpose. Finally, she could see it, the wicked black manor, the Kaltod Manor, standing in stark contrast to the white snow that made up the rest of the landscape. Somehow, no snow sat atop the roof, as if even it was afraid of this sinister building. This did not deter her, though. Quite the contrary, the girl’s scurry quickened at the sight of this. Finally, this will all be over. As she reached the door, the girl cared not to knock; she simply flung the door open, growing impatient as she could feel the end so close, so close. “Ah… a new visitor, already. Good to see the legends still serve their purpose; please, come in, join me upstairs. There’s so… much… for you to see.” the voice whispered into the back of her mind, leaving an itch she couldn’t quite manage to scratch away, only adding to her anxiety. Thinking nothing more of it, the girl made her way up the stairs directly across from the entryway as directed. There was no question where to go from there; the doorway atop the stairs held an ominous glow, the candles reflecting off the dark surface giving off a faint purple light. With an audible swallow, the girl placed her hand on the doorknob, slowly turning it, then even more slowly opening the door, the creaking hinges echoing through the sparse hallways of the manor. On the other side, the girl saw a strange figure sitting in a grand chair, practically a throne. To even call it sitting was a stretch, as this figure was not human, nothing even close, but more of a white cloud, cold wind blowing in from behind the girl as it fluttered the snowflakes around this figure like a wispy shroud. Even though it had no discernable eyes or features of any sort, she could feel this figure staring directly at her. “Hahaha… you adventurous types are so easy to goad. A simple rumor of treasure under a mysterious manor… Adding in that ‘no one ever returns’ just triggers all the little reactions in your brain, exciting you, against all reason. Like moths to the flame… your flesh is lost to frost.” the itching voice went on, relishing every bit of this it could. Probably had a lot of time to itself to rehearse this. The girl didn’t have the pleasure of entertaining such thoughts, though, for as the voice spoke, she could feel its teeth gnawing away at her flesh. The snow… it had clung to her skin, never melting, never falling off, no, they were the instruments of its hunger. In an instant, the pain stopped. The girl simply sat in silence, now kneeling on the floor in a lightly sobbing heap from the residual stinging pain, combined with her sheer desperation, just staring at the floor. “I… look,” the voice continued, making its way up and over to the girl, bringing out something roughly akin to a hand as it motioned to brush the snow off of her (although nothing actually fell to the floor), “Even I can’t kill you in good conscious. Adventurers? Sure, they’re dumbasses that don’t ever listen to reason, and they’re delicious to boot. But you? I could never devour a soul so devoid of hope.” The hand-approximation reached down towards the girl to help her back to her feet. After a moment of the girl continuing to stare at the floor in awkward silence, the cloudy figure let out a nervous cough before just grabbing the girl by the shoulders, lifting to her feet, and lifting her chin up to look the figure in the closest thing it had to a face. Eri just stood there for a moment, disconcerted that she couldn’t feel what happened past a light chill down her spine. It’d actually be more comforting if she could feel agonizing pain from it overcoming her very being, she thought. At least then she’d know exactly what she was getting into. Her thoughts nodded in agreement. Eri made her way into the colosseum, choosing the comfort of the newer seats. She made a point to sit away from anyone else, but as she turned around to sit, she could swear the people were even further away than before. "Is it because of it or me, I wonder." she muttered to herself. "I don't think my cool factor was that noticeable... although it's also been a while since I've even been out of the manor, so, who knows." the snow-thing added in through Eri's thoughts. If Eri wasn't already frowning, this would be the time for it. "Why'd we even come here...?" she went on grumbling. "If I've learned anything about you human types, it's that nothing gets your blood flowing like some good old-fashioned violence. Distracts you from your woes from a time, maybe we get to munch on what's left of the loser; it's wins all around, right?" the snow-thing went on, still seeming quite chipper. Eri, meanwhile, was really becoming increasingly disappointed with the fact that double and triple frowns were not something she was capable of. 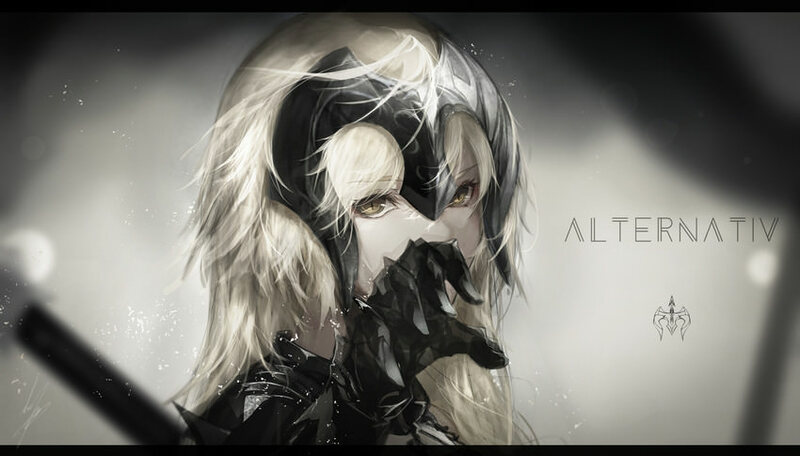 "I guess..." she trailed off, twiddling her thumbs as she sat there, waiting for the fight to begin. "Well, while we wait..." she continued, becoming increasingly apathetic of the notion of anyone overhearing her, "What should I even call you, anyways?" In the depths of her mind, Eri could feel a gasp. "You did it! You showed interest in something! We're getting somewhere." Eri thought as hard as she could about the prospect of the fabled quadruple-frown. "Okay, okay, anyways, uh, geeze. I did forget about you human-type's fascination with naming things. I've been called all sorts of things, the Chill from Beyond, the Cold Mistress, the Living Tundra, Mr. Freeze, Gefrie, the Biting Cold--"
"Wait, what was that, Jeffrey? Who called you Jeffrey?" Eri interrupted, confused (and, despite her best attempts to hide it, mildly amused). "No, Gefrie. That guy told me it meant something or other in his--I'm in your thoughts! You can visualize what I'm saying! You know fully well how it's spelled." Eri, meanwhile, couldn't help but lightly giggle at this ancient monster being so easily brought to frustration. "You know what? Fine. You can call me Jeffrey if that pleases you so much. I really couldn't care less, these name your kind obsess over are so trifle in the grand scheme of things." "And yet you remembered so many of them." Eri went on, her frown slowly dispersing in her smugness. "So hey! That first contestant looks pretty promising. Fancy hand-sweaters, big ol' poking-rods, I can tell you, guys who bring multiple weapons usually mean business... usually." Eri simply shook her head, staring down into the arena. The other contestant seemed to be taking their time.